To build an effective media buying strategy, you’ll need to choose the best websites in your niche to advertise on. 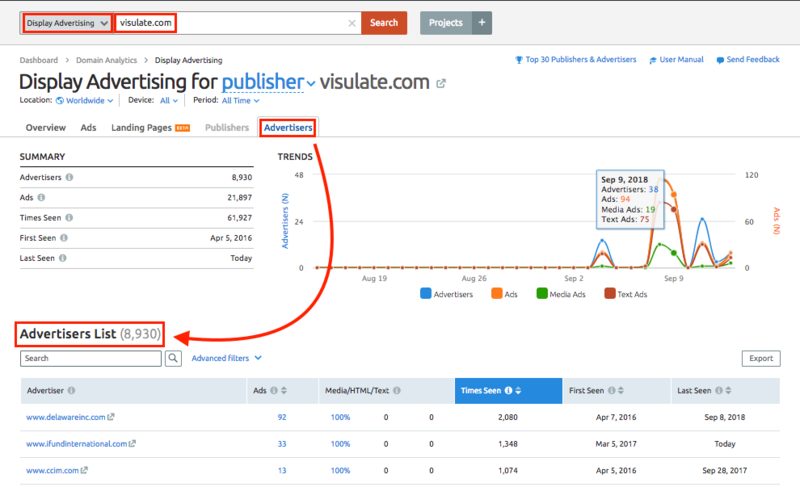 SEMrush can be a helpful tool to use when looking for these potential publishers or vendors of your ads that would be a good fit for your campaign. You can see how much your average competitor advertises, where they place their ads, how much traffic those publishing websites receive and more. For this workflow, our example website was swimmingpool.com, the competitor analyzed was aspfranchising.com, and the potential publisher analyzed was visulate.com. To make the process simpler, we break it into 3 parts; identifying potential publishers, publisher analysis, and advertiser analysis. 1.Start by picking out a domain that you consider a competitor to your business. 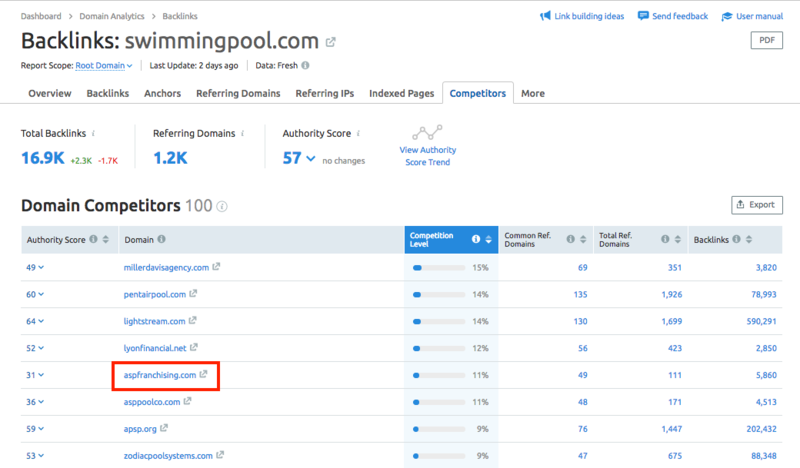 If you can’t think of one, you can use the Backlink Competitors report to get a list of your domain’s top competitors based on shared backlinks. 2. Once you choose a competitor from this list, enter their domain into Display Advertising. 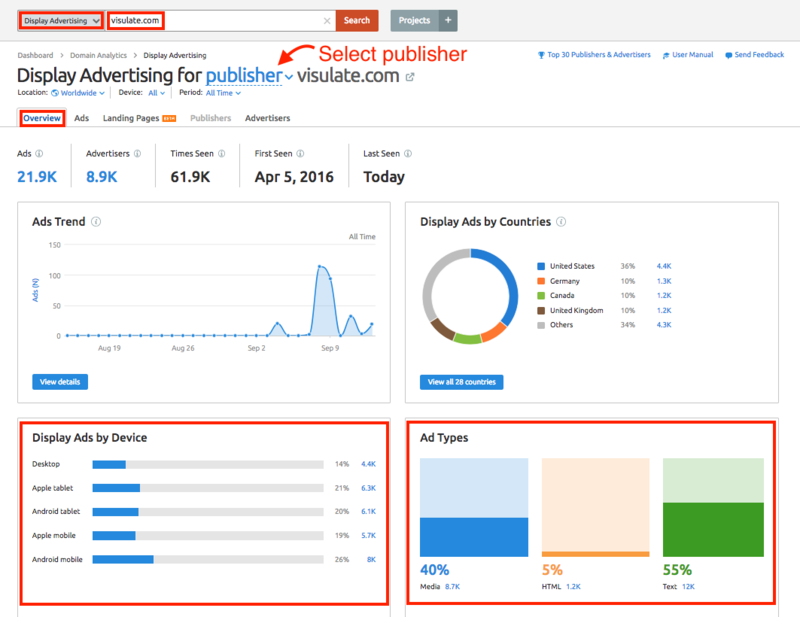 If you’ve identified a potential publisher for your ad campaign, you can research their domain further to determine if it their audience be a good fit for your ads and if their site gets enough traffic to be a fruitful investment. 4. Launch a Project for your website. 5. 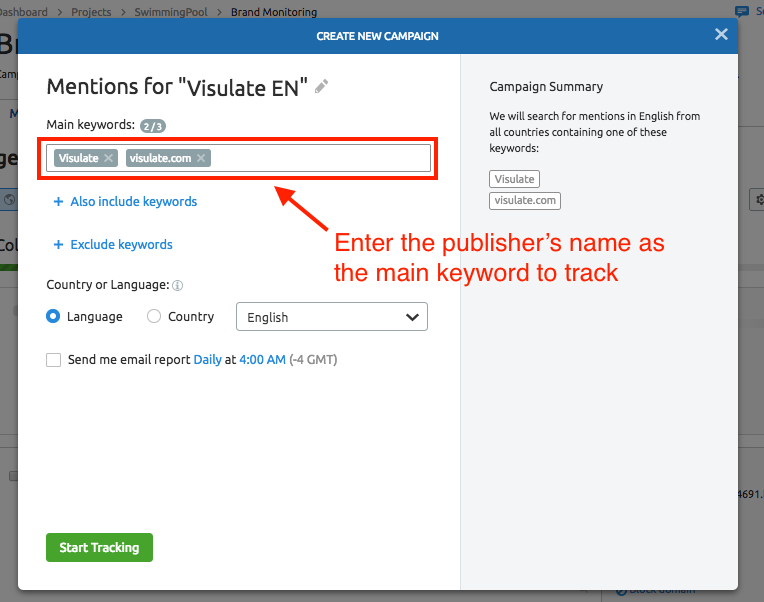 Configure Brand Monitoring to track the brand name of the potential publisher you wish to analyze. This tool will then monitor all Internet mentions of the brand name or keyword. 6. Review your mentions feed to see what other people are saying online about the website. Next, you can take a closer look at the businesses that advertise on this publisher to determine if they are a good fit. If the other advertisers are similar to your business, then you can infer that your business would also benefit from advertising on this potential publisher. 1. Query the potential publisher in Display Advertising and select “publisher” in the drop down before the domain name. 2. Analyze the ratio device types of ad types placed on their website in the Overview tab. 3. Go to the Advertisers tab to look at the list of other advertisers that this website publishes. 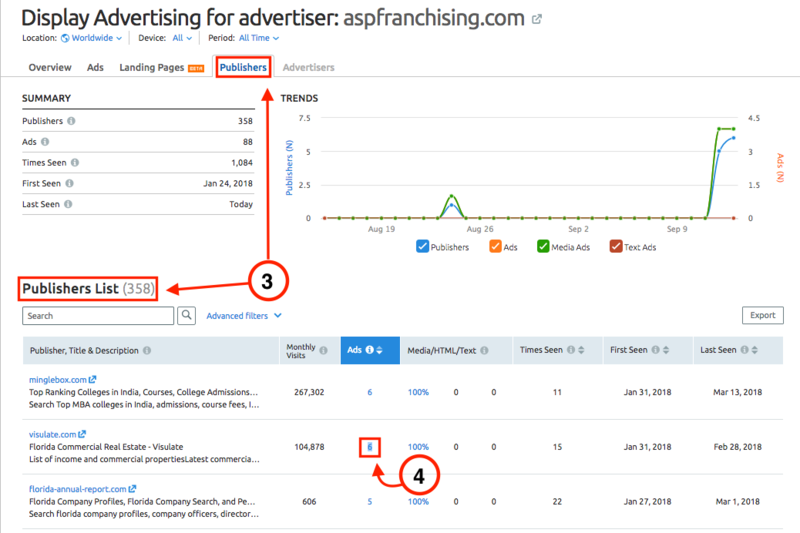 After analyzing one potential publisher, you can repeat this process for any other domains that are in your shortlist or your competitors advertise on and compare the strengths and weaknesses of each domain. 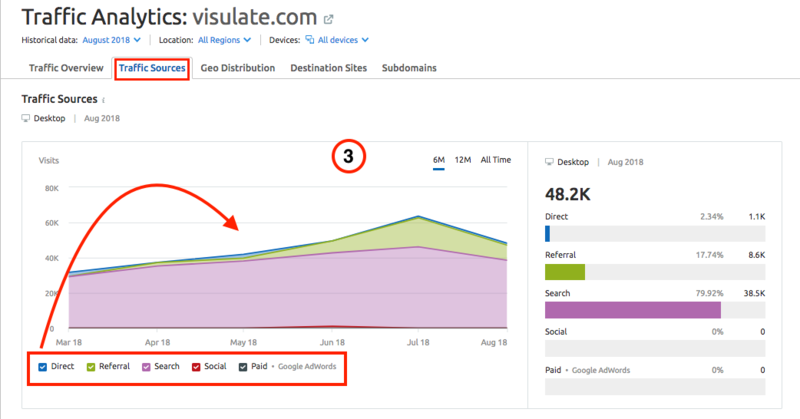 To compile your research into a clear comparison, you can take screenshots of the reports on SEMrush and compile the images into a PDF in My Reports.